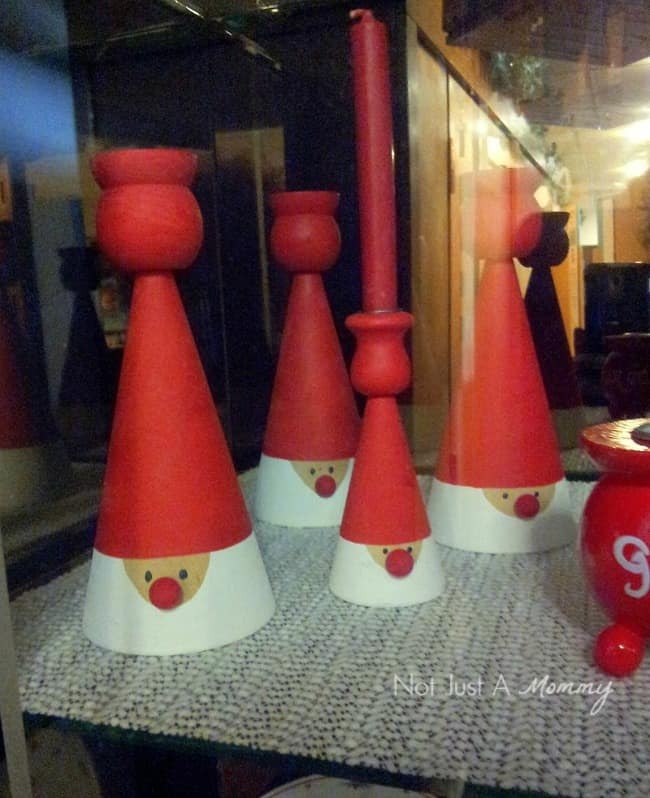 This tomte-inspired ornaments post is courtesy of our contributor Dawn…While working an event at Normanna Hall, the home lodge for our local chapter of the Sons of Norway, I came across this display of candlesticks. 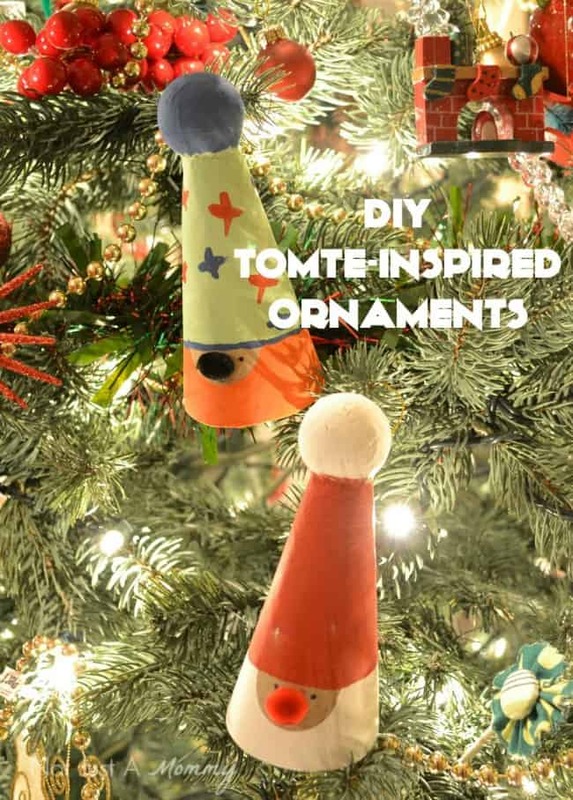 With a little research, I found out they are called tomtenisses; tomte (Sweden) or nisse (Norway and Denmark). The tomte is a mythological creature from Scandinavian folklore typically associated with the winter solstice and the Christmas season. It is known as a gift bearer and is considered one of the Swedish and Norwegian versions of Santa Claus. I thought to myself, ‘Self, how fun would it be to make my own version.’ And I did, with simple papier-mâché ornament forms for a Santa and elf version. I found mine at my local craft store but you can find them here on Amazon. 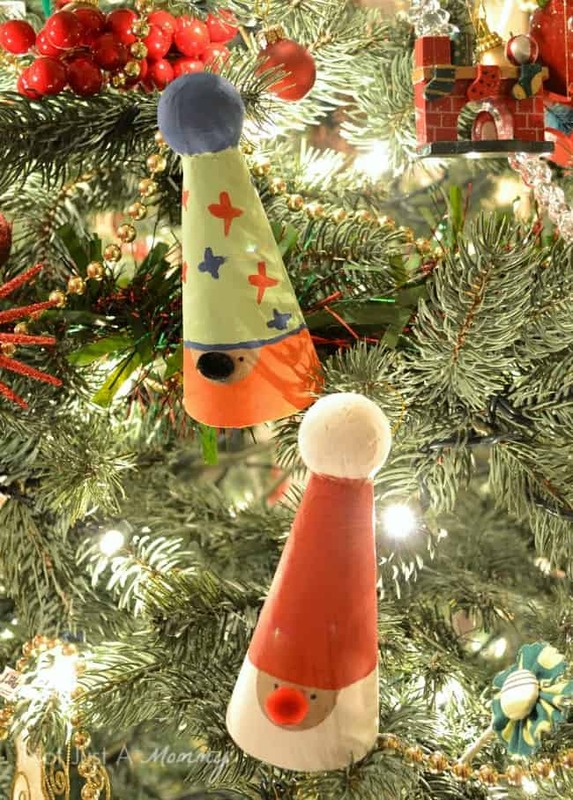 With my paint ready, I taped off the ornaments with painter’s tape and a 1 ½” circle sticker, and when they were all dry, I added eyes with a permanent marker and hot-glued 10 mm pom pom noses. Super easy and fun for the kids to create. Need more easy holiday ideas for the kids? 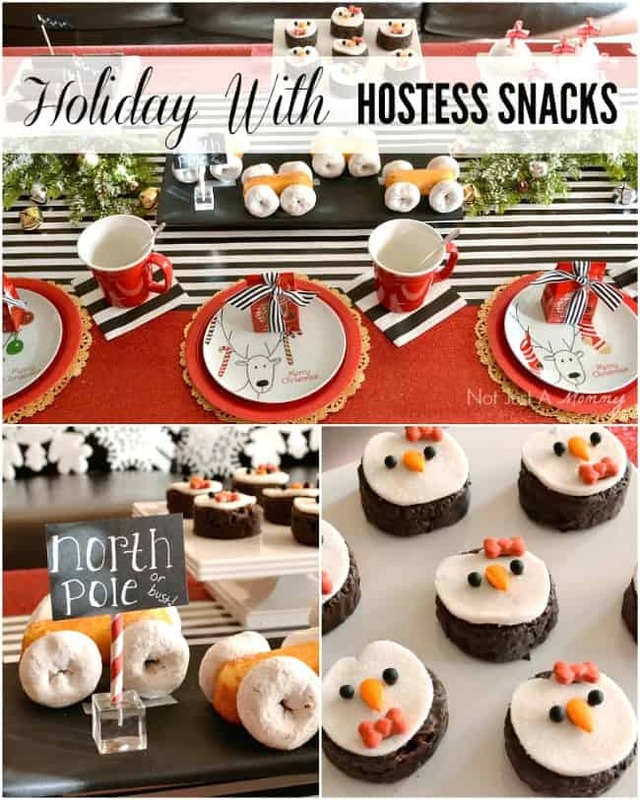 Check out my no-bake treats with my Holiday With Hostess Snacks table. 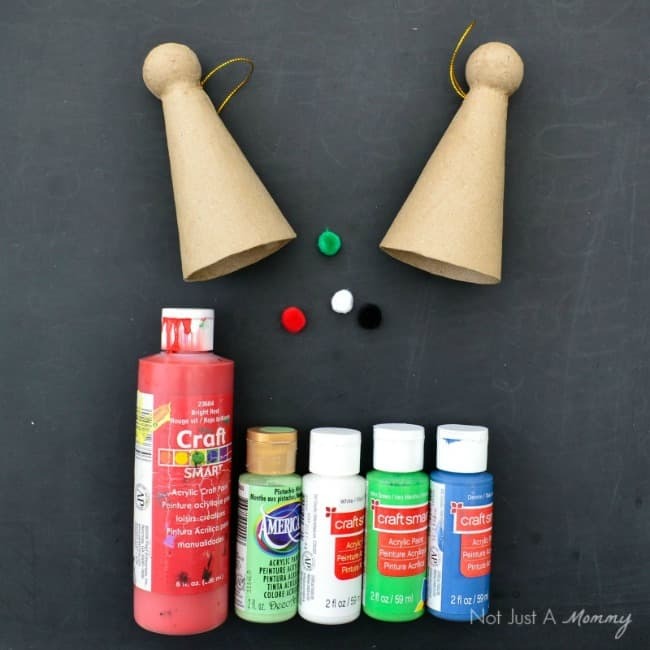 We’d like to send a big THANK YOU to Dawn of Not Just A Mommy for sharing this fun craft tutorial with us. Over on her blog you’ll find plenty of party inspiration. She always has the most clever ideas with easy tips on how to recreate them for your own celebrations. Be sure to follow her on Facebook, Pinterest and Twitter for even more creative ideas. 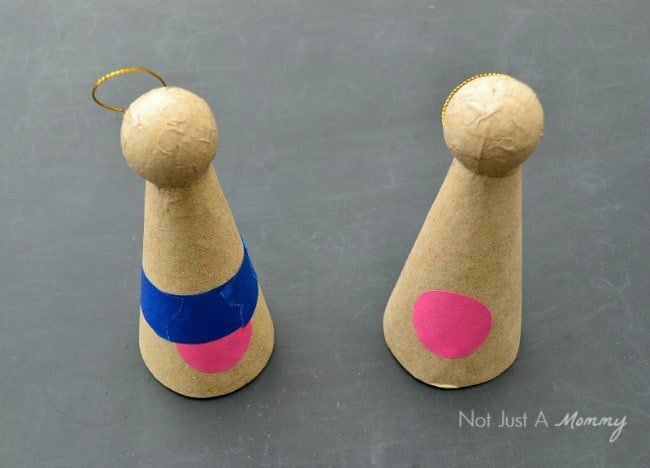 DIY Ornament Party Drinks – these are brilliant! Hoggy Holidays Party – absolutely adorable! Something I’d like to plan for next year – a Gift Wrapping Party!